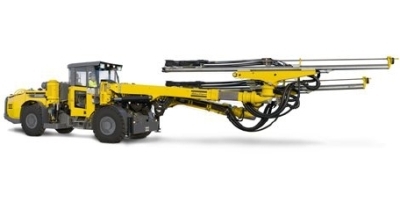 Atlas Copco has introduced an advanced hydraulic face drilling rig called Boomer E2 C which is ideal for large- to medium-sized tunnels and drifts having cross sections of up to 112 m2. A computerized Rig Control System (RCS) featuring intelligent functionality controls the drilling rig and helps in reducing costs and ensures productivity, accuracy and increased uptime. Two flexible and rugged COP rock drills as well as BUT 45 heavy-duty booms are incorporated within the rig to promote high productivity. RCS handles drilling and positioning for productivity and high precision, thus providing certain levels of automation to match specific needs. BUT 45 booms ensure direct, rapid and precise positioning. A feed extension measuring 2500 mm, and double rotation units with ±135 degrees feed rotation and ±190 degrees feed rollover offer improved reach and flexibility. COP 2238 or COP 1838 rock drills cover different types of rock conditions. 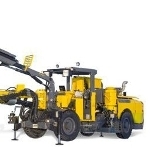 A dual-damping system for extended durability is integrated into these rock drills. For more technical information, please visit the Atlas Copco website.